Discover the Marc Jacobs Daisy Red Eau de Toilette; a fresh, feminine fragrance that blends notes of Wild Strawberry and sparkling Grapefruit with a floral heart of Jasmine and Gardenia. 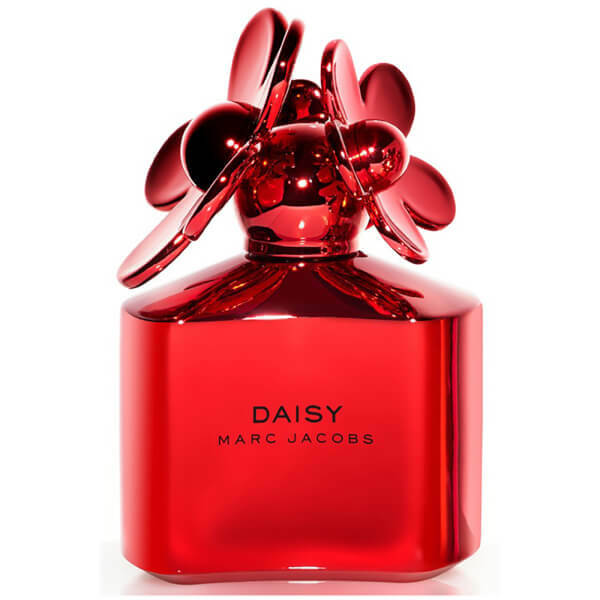 Settling on a base of Birch and Cedarwood, the eau de toilette is presented in a bright red, limited edition bottle accentuated with a scattering of daisies. Top Notes: Wild Strawberry, Grapefruit. Heart Notes: Violet, Gardenia, Jasmine.